My Book Worm Wednesday review this week is of Ooh La La! 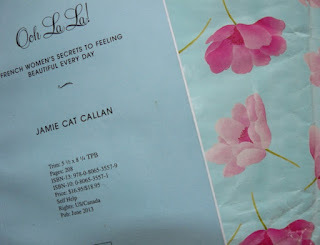 : French Women's Secrets to Feeling Beautiful Every Day by Jamie Cat Callan that celebrates it’s publication on 28th May. Jamie has already written two other books on a similar theme, French Women Don't Sleep Alone and Bonjour, Happiness! : Secrets to Finding Your Joie De Vivre and was kind enough to pop a copy of her new book into the prettiest envelope ever and post it off to me, thanks Jamie. The minute it arrived I could tell Jamie was someone who thought about every detail to give the best impression. I have read a few books that promise to expose the secret of the elusive French woman and enlighten us poor non-French souls, but I often feel they are writing about a different kind of French woman than the ones I see on a day to day basis in rural France. Because of this it would be fair to say that this subject interests me, but I am sceptical, especially as I know French women do get fat, just like the rest of us! However, this book was different. Jamie takes us with her on a journey through France where she meets and chats to some fantastic French women and picks up tips and advice on the way. As well as the chic Parisiennes we also meet French women from the provinces and while they all had something different to say on the subject of feeling beautiful, together they gave a real insight into what makes a French woman. I liked the personal feel of this book as Jamie really shared her travels and adventures with us, even when things didn’t quite go to plan. Thanks for a really thought provoking book Jamie, we are often searching for ‘something’ in life, but this book showed me you don’t always find it where you are expecting to. 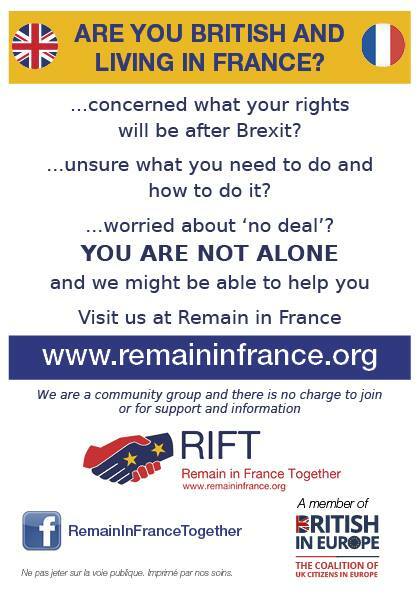 We have lived in France for nearly nine years and if I’m honest the longer I’m here the more I feel I will never be one of them. However this book made me realise that just through the simple things I love about my life in France and how being here has changed me, I had already found my ‘Ooh La La’. Maybe I am more French than I first thought, although I may need to rethink my lingerie collection to be really accepted. Ooh La La! : French Women's Secrets to Feeling Beautiful Every Day is available in paperback and ebook format from Amazon as are Jamie’s other titles. To help celebrate her publication Jamie will also be joining me back here on Friday for my France et Moi feature. Hello Irina and thank you for popping over to visit. 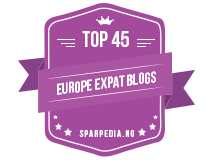 I hope you enjoy sharing our snippets of French life.